The Development Bank of Southern Africa (DBSA) is a South African based Development Finance Institution (DFI), whose mandate is to use infrastructure to promote economic growth and improve quality of life. As a DFI based in an emerging market and operational throughout the African continent, DBSA offers a unique perspective on how such an institution operates in the blended finance space. Mohan Vivekanandan is Group Executive for Client Coverage & Origination at DBSA. Before joining DBSA, Mohan had a background in management and strategy consulting. While working as a consultant he realized that the projects that truly interested him were bigger public sector projects that involved more than just the profitability of a company. He wanted the opportunity to work on projects and programs that can transform an industry overtime, and bring economic growth and sustainability to the region and the continent. That’s how he found his way to DBSA. We spoke to Mohan about how blended finance fits into DBSA’s overall mandate, why the first green bank in an emerging market wouldn't exist without blended finance, and what advice he would give to other emerging market DFIs who want to engage in blended finance. What is DBSA’s overall investment approach and mandate as a DFI? The way we think about our investment approach is to look at it from a value chain perspective. So, the value chain for infrastructure starts with a multi-year plan, from there we help set up programs (e.g. renewable energy program), out of that program can be a number of individual projects, which we help prepare (e.g. funding feasibility studies etc. ), then financing, which is the core of what we do as a DFI. In terms of financing, we have traditionally been a provider of long-term debt. In South Africa, we provide that financing in Rand, outside of South Africa we do it in USD or EU. We also have a post-financing division, which we think is quite unique for a DFI. There are many government entities in the region that don’t have the capability to actually build and maintain infrastructure. So, our post-financing division acts as an implementing agent for governments to do just that. How does blended finance fit into this overall mandate? In the past we were mostly focused on measuring ourselves based on the value of our own financing. But a few years ago, we re-examined the impact we were having, and we did some analysis which indicated that South Africa should be investing at least 2% of its GDP into sustainable infrastructure every year, about $7 billion. However, we were only doing a little more than $1 billion a year in investments straight from our balance sheet. So, we realized we needed to crowd in capital from other sources, either from other DFIs or from the private sector, for us to have the kind of impact we wanted. So, we decided to measure not just the value of our own financing, but also other financing we were able to catalyze. This is how blended finance became a key part of our strategy and one of the key metrics we use to measure ourselves. What does this blending look like in reality? Can you describe a recent deal to us? We are currently in the process of launching the Climate Finance Facility (CFF), the first green bank in an emerging country. The Green Climate Fund recently announced it would provide $55.6 million to the CFF. Convergence also provided upfront support for the design of the facility. Once operational it will be a $150 million facility, which will be used to support private sector investment in climate financing including renewable energy, energy efficiency, and water and sanitation. The blending was absolutely crucial here. The GCF is basically providing their portion of the funding on a zero-interest basis, it’s not a grant, they’ll need to be repaid, but there’s little to no interest being charged. That helps make it a very cost effective long-term source of capital for these projects. Can you tell us a bit more about the foreign exchange or currency risk you are exposed to and how you mitigate against that? Unfortunately, right now South Africa is one of the only countries in Southern Africa that is able to fund long-term infrastructure in its own currency. All the other countries have to borrow in dollars or euros. You can do a shorter tenor portion with local banks or institutional investors, but when you’re talking about more than 7 years, it needs to be provided in hard currency and we haven’t fully solved for that. The countries in the Common Monetary Area, including Namibia, Swaziland, Lesotho, are tied to the rand so we are able to do rand-based financing there. But we’re lending to most of the other countries in dollars and euros, which is a big risk for these countries, because the underlying economy of these countries have to pay for these assets and if and when the currency does depreciate, they will get stuck. So, it is a problem. Existing instruments like TCX aren’t really set up for long-term infrastructure borrowing. How does DBSA measure the impact of your investments? This is an area we still need to improve on. Traditionally this was very crude, we simply count the amount of capital we put into a project. Since then we’ve incorporated metrics on third-party capital mobilization to determine the overall value, but it’s still measuring project value rather than ultimate impact. We started measuring and requesting metrics like, number households that will benefit from the project/intervention, the amount of power being put into the grid, and kilometres of road built. But it still doesn’t measure the ultimate impact of how lives are being improved. You can build a road but if no one traverses it, then where’s the impact? We haven’t been sophisticated enough about the ultimate economic and social impact of our work and it’s an area we’re working on now. We’re actually looking at building new development indicators that start measuring some those aspects. What has been your experience collaborating with different stakeholders in blended finance? Public, private, and philanthropic? It’s been quite good, we primarily tend to work with other DFIs. We may join them on some technical assistance and then use that to co-finance the project and also bring in some commercial banks. Our experience working with commercial banks and private equity funds, investing as project sponsors in infrastructure projects, has also been quite positive. They are incredibly disciplined, which means they push the project development timescale to get the project through the engineering life cycle, to get all the approvals, to close the finances, and to operate it. We haven’t done as much with philanthropic organizations, so that’s an area we’re now looking at expanding. Traditionally, we were doing very large infrastructure projects that were $50 milllion, $100 million or bigger, which didn’t leave a lot of room for them. But now we’re broadening our focus to smaller projects as well, projects that are more tech enabled and innovative (e.g. off-grid energy), and I think that’s creating opportunities for us to start working with philanthropic agencies. You mentioned you were working with a lot of other DFIs, do you have any advice you would give to a DFI who is newer to engaging in blended finance? For a smaller emerging market DFI, I think they need to know that size is not as important as your ability, and the partnerships, credibility, and access you have in your home market. We actively try to work with smaller national DFIs in the African countries we operate in, because having them in a transaction, even if we have to lend to them so they can on-lend to a project, gets more local buy-in. It means we have more local people on the ground who can help us, making success more likely. So, for those DFIs, don’t underestimate what you can do. There’s a lot of capital there, and there are a lot of entities, bigger DFIs who have access to capital, who would like to work with you. What you need to bring to the table is your access to the finance ministry and decisionmakers, but also your knowledge of priority projects and understanding of local contexts. Smaller national DFIs have an important role to play. 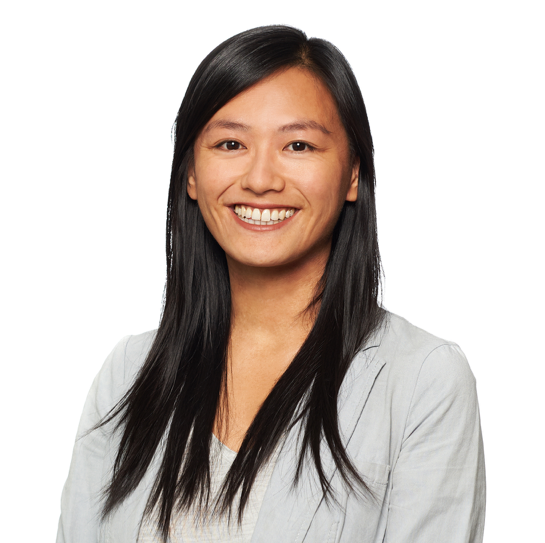 As the Communications Lead, Sijia heads communications strategy and implementation at Convergence. Sijia brings with her over five years of communications expertise in media relations, digital media management, and strategy development. Prior to joining Convergence, Sijia was a Communications Officer at the United Nations University (UNU) in Bonn, Germany. At UNU she explored new ways to tell stories about climate change. She also oversaw international media relations and placed UNU in high impact outlets around the world, including the New York Times, BBC, and Reuters. Sijia has also served in a communications capacity at Fairtrade International and McGill University. Sijia holds a B.A. in Psychology from McGill University and an M.A. in Digital Media and Business Communication from Tilburg University in the Netherlands.